I’ve recently had a breakthrough where my prayers have become conversations with the Lord. It’s been an awesome experience for me! I basically kneel with a journal and write my thoughts, praise, questions, and then record the first responses that come to my mind. It’s really helping me discern the Lord’s voice, the Holy Ghost’s promptings, my own voice and thoughts, and adversarial voices. I feel edified every time I approach the Lord this way. But along with these really personally profound moments of wanting to bask in the light of the Son through prayer, I’m too busy in my day to take the hour or more to sit with the Lord. Why? I was resisting the opportunity. I finally started recognizing the resistance. 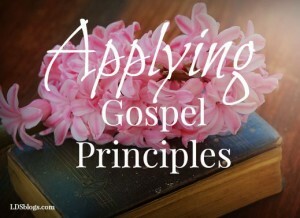 I decided that if I shrunk from approaching the throne of God and His grace, some sin or guilt plagued my approach. 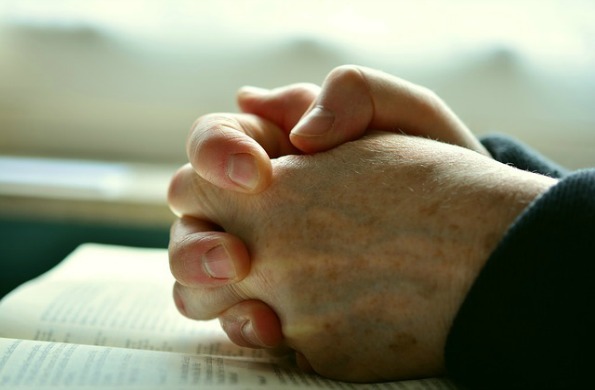 Recognizing a resistance to prayer unnerved me, actually. So I determined to face this bizarre inner conflict. 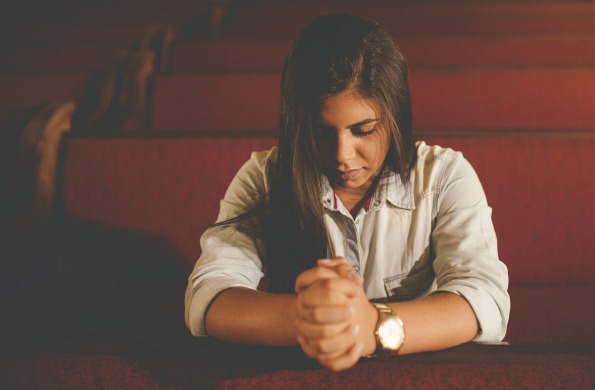 Ironically, to really face it, I had to offer a prayer for the Holy Ghost’s help in discerning what my issue was because I had no idea why I would avoid such beneficial prayer. The Lord is so generous and as I sat silently introspective, I realized guilt didn’t hamper my path—fear did. I thought about my typical fears—fear of rejection, of being ego-driven, of not being good enough, not being worth enough or interesting enough to garner heaven’s attention, fear of all the “lacks” in life. As I held up those fears against my reticence, I felt surprised to realize that I harbored some fear. But there was something else, too. Before this introspective moment, I’d read an Instagram post by Brené Brown. It came to mind as I pondered. I felt like this applied. Why was I self-protecting against God?! That led me even deeper into my thoughts. I suddenly realized the truth. I am reticent to approach God because of my darkness. As I pondered, a scene came to mind. The day before, I’d gone to the temple and asked a significant question. I’d gotten answers to that question visually during the session and through promptings. I felt edified and heard. I felt like I should record the experience in my journal when I got home. But by the time I’d driven the hour plus back home, I was tired — I’d been up and going long before dawn till way after dark. So I walked in the house, greeted my husband and dog, and crashed on the couch, “quickly catching up” on social media notifications I’d missed, which soon turned into an incoherent, zombie scroll. And then Anthony suggested we go to bed, and I did. And I realized that my spirit recognized that natural man win and subconsciously, I felt ashamed to suddenly pop in and talk to God on my own timetable when I hadn’t sacrificed to follow the prompting to write in my journal. This scenario could have been any number of scenes I experience and re-experience on the same theme. That’s darkness. How do I bow before the King of Glory with the shadows I haven’t successfully eradicated in 47 years? I felt shame. I’ve been given so much. I know so much. And yet I consistently fail. Musing in honesty while still resisting worship, I went to LDS.org to search a word that came to mind. The homepage instantly distracted me and I followed a link on something that interested me. When I came to myself again, (obviously, this is a constant struggle) I had totally forgotten the word I intended to search. The shame and embarrassment were so tangible. “Undaunted” came to mind. I knew that wasn’t my original word, but I typed “undaunted” in the search box. In the search results, I saw “Banishing All Shadows” by Elder Jeffrey R. Holland. Wow! That title! I clicked the link. It was an April 2018 commencement address at Brigham Young University. The whole talk was good. But Elder Holland’s quotation from Preacher John Donne’s congregational message in 1624 was meant for me at that exact moment. We ask our daily bread, and God never says you should have come yesterday, he never says [I have run out,] you must [come] again to-morrow, but to-day if you will hear his voice, to-day he will hear you. . . . God . . . brought light out of darkness, not out of a lesser light; he can bring thy summer out of winter, though thou [had] no [hope of] spring; though in the ways of fortune, or [mis]understanding, or conscience, thou [hast] been benighted till now, wintred and frozen, clouded and eclipsed, damp and benumbed, smothered and stupefied till now, . . . God [yet] comes to thee, not as in the dawning of the day, not as in the bud of the spring, but as the sun at [full] noon, to [banish] all shadows, as the sheaves in harvest, to fill all penuries, all occasions invite his mercies, and all times are his seasons. God comes to thee as the sun at full noon to banish all shadows… All occasions invite His mercies. You undoubtedly will have days, to quote Mr. Donne, when you may feel dark, cold, “clouded,” or “eclipsed.” But if you desire God’s mercy, I promise that help will come to you, “not as in the dawning of the day, not as in the bud of the spring, but as the sun at [full] noon, [banishing every shadow].” All occasions invite divine mercy, and in heaven it is always harvest time. Be secure and safe, today and always, in the victory of the kingdom of God over the troubles and ills of mortality. I am more certain of that victory than I am of any other thing I have ever learned . . .
More than ever, I realized that I cannot overcome my darkness without His light. Only by His light are my shadows banished. He is not embarrassed or ashamed because I have darkness. After all, He divided the light from the darkness in the beginning. But the Lord urges me to a sanctified life—a life without darkness. And if your eye be single to my glory, your whole bodies shall be filled with light, and there shall be no darkness in you; and that body which is filled with light comprehendeth all things. Therefore, sanctify yourselves that your minds become single to God, and the days will come that you shall see him; for he will unveil his face unto you, and it shall be in his own time, and in his own way, and according to his own will. He will not forsake us on this journey. He is our Rock and Fortress; the Way, the Truth, and the Light. And because of that, I worship Him. Right?! I really want to implement Delisa’s idea about using a journal during prayer. I loved that!